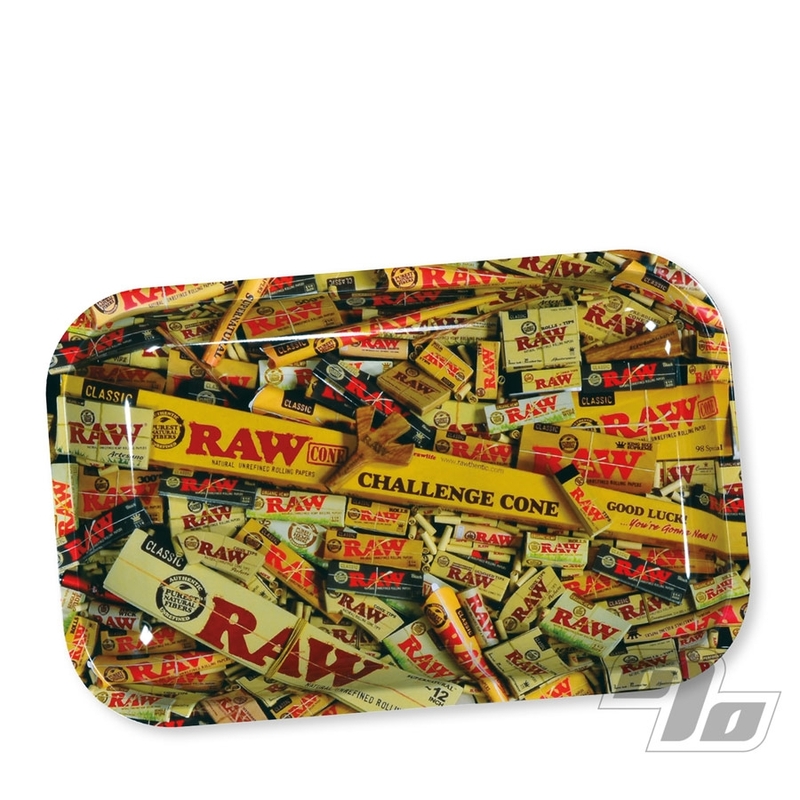 The small RAW Mix is the latest metal rolling tray brought to you by RAW Rolling Papers. Roll up over just about every RAW Rolling Paper and RAWthentic accessory to date. This is a classic small metal rolling tray with curved edges to hold all your gear while you roll. Coming in at 11 x 7 inches and 1 inch deep, you have the surface needed to work yet easily fits both on your lap or in your bag. RAW rolls up nice on this fine tray but so do other fine rolling papers. Got this rolling tray for the purpose of rolling on it, duh. I was pretty surprised at the quality of the tray when I recirved it because I wasn’t really expecting much at this price. But then again it is just a tray so probably not that expensive to produce. It comes in really handy since I’d used to just roll my doinks on my desk but hated cleaning up the mess it made.